The Welsh poet, Dylan Thomas once wrote: ‘A good poem helps to change the shape and significance of the universe, helps to extend everyone’s knowledge of himself and the world around him’. The Czech lawyer and activist Milada Horáková wrote ‘Man doesn't live in the world alone; in that there is great happiness, but also a tremendous responsibility’. On December 10, we mark International Human Rights Day and celebrate the Universal Declaration of Human Rights. The quotes above reference their significance. Despite its critics, its weaknesses and contradictions, the human rights ideal and the frameworks and practices built around them continue to inspire people worldwide. Human rights have put their mark on national constitutions, have routinely formed the basis of law and have been a focal point for those opposing ignorance, bigotry, abuse and tyranny. In the round, they have also become a process through which states (and increasingly individuals) hold each other to account, even if not in a court of law. Despite the cynics and the constant attempts to dismiss the agenda as nothing more than ‘high-minded idealism rather than realism’ or (as in many parts of the world) a ‘western’ imposition, they continue to be invoked everywhere. The concept of human rights has been a huge success, even in its recurring failures. Most importantly of all, the idea and practice of human rights is revolutionary. They remind us that the most basic of rights are inherent in each and every one of us from birth. They are not bestowed by benign governments or supreme leaders, by society or its traditions, by law or by courts. They are literally inherent in the human condition. I am, therefore I have, rights … and if that assertion is to have any real meaning …so does everyone else, equally. The educational pulse of human rights is clearly evident in the Preamble to the Universal Declaration (a one-page ‘must read and discuss’ for everyone, especially educators). The Preamble is above all a call to education, to a learning in some of the most fundamental dimensions of shared human life. In this foundational human rights text, the Preamble urges us to ‘strive by teaching and education’ to promote respect for and implementation of human rights ideas and practices. In this call, it highlights the gap between what everyone knows and what everyone should know. It asserts the fundamental challenge that human rights is as much about literacy as it is about legislation. Emerging from the abuses and inhumanities of the Second World War, the Declaration was a call to the creation of a new world (as detailed in Mary Ann Glendon’s ‘must read and discuss’ book, A World Made New). Not only should this ‘new world’ have an architecture of human rights, it should also have a human rights DNA. The Declaration is intrinsically educational in that it offers a ‘curriculum’ for becoming more fully human in contrast to the inhuman practices it sought to respond to. A curriculum by which we would fully ‘know’ human rights as an ideal as well as a reality. Its relevance to countries such as Malta is immediate. Like many other countries, Malta is increasingly ‘mal-developed’; while its economy ‘booms’ and is in many ways ‘developed’, its society remains stultified and significantly underdeveloped. It may have much of the architecture of human rights but it does not yet have its soul. Rights remain selectively cited and selectively applied. Far too many Maltese, and Europeans, understand the ‘I’ of human rights but not the ‘we’. 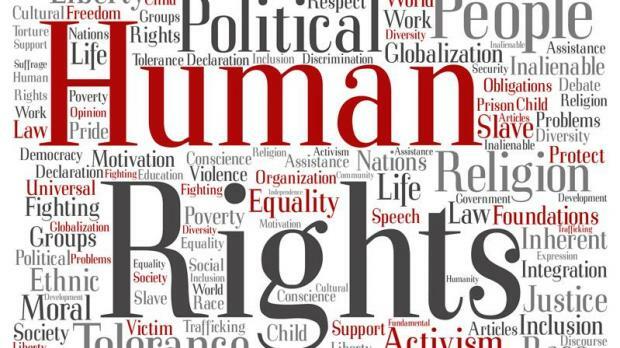 In this sense, human rights represent an educational imperative for Malta, a ‘must read, discuss and do’ agenda in one of the most basic ‘survival in the twenty-first century’ literacies.